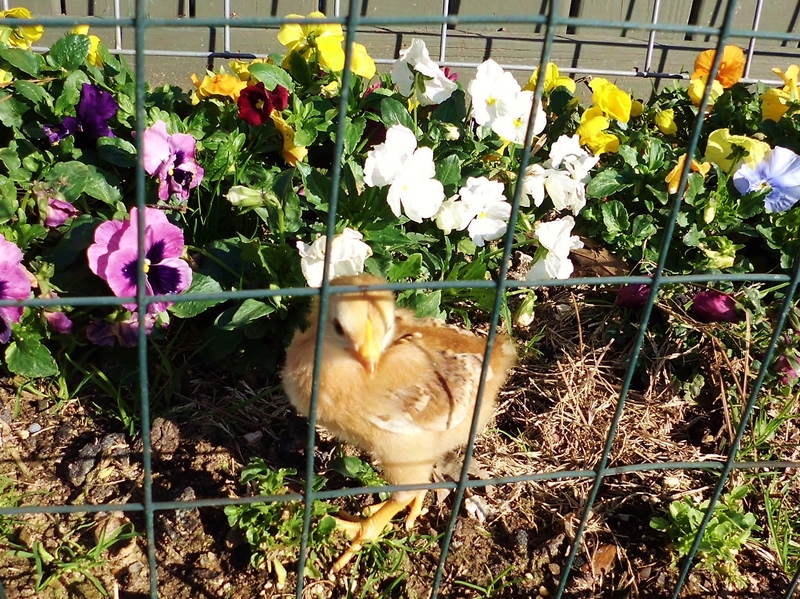 Before the cold snap, we had a warm sunny day so I let little Scarlett loose in the pansy bed. 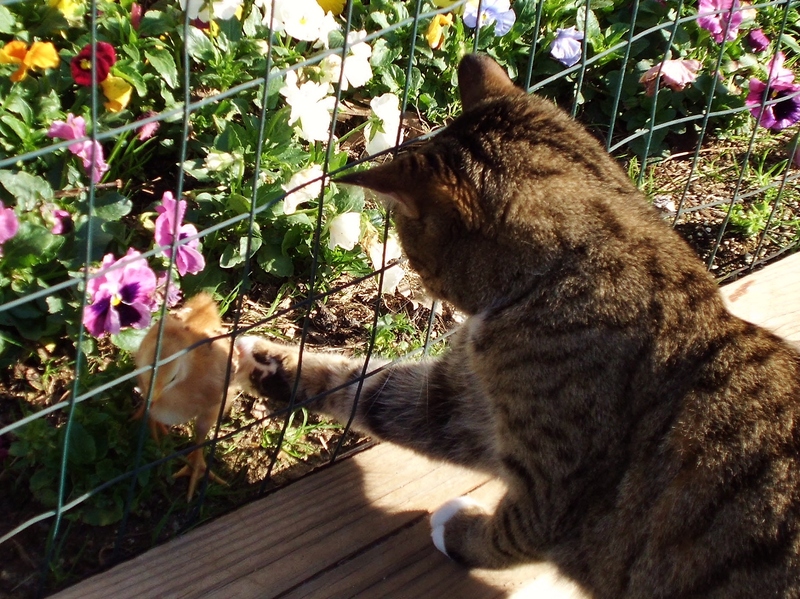 but she got bored and just walked between the chickenwire. She won’t be able to do this much longer. 🙂 She seems to grow before my eyes. I wonder if she thinks she’s a bunny or a kitty? 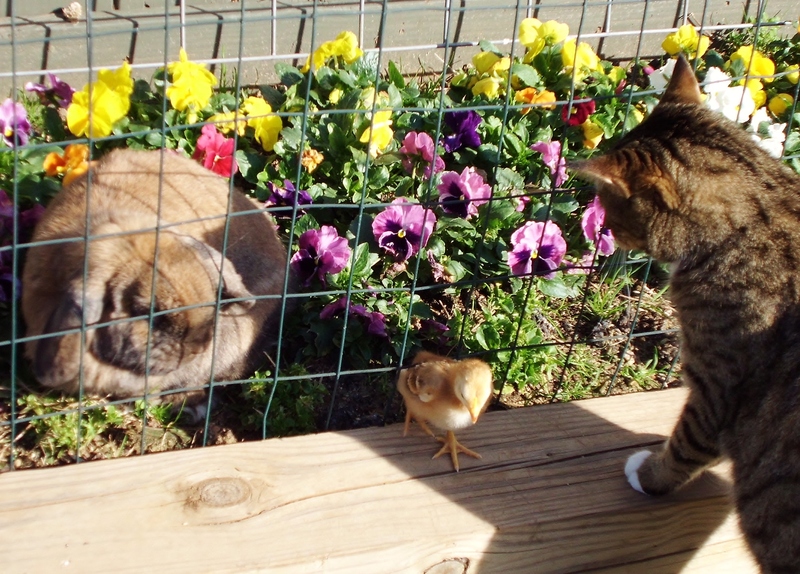 ← I’m Supposed to be Afraid of These Guys? Thank you. I would move mountains if you could see them in person. Hugs.